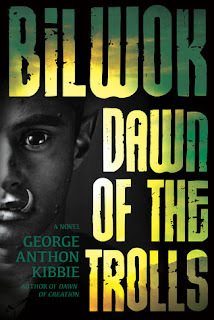 Book Description: When Bilwok discovers the ancient record of his people, it changes everything he’s ever known about himself, his fellow trolls, and the world beyond his hidden home. Now he has to decide where his loyalties lie and how far he’ll go to find the truth. 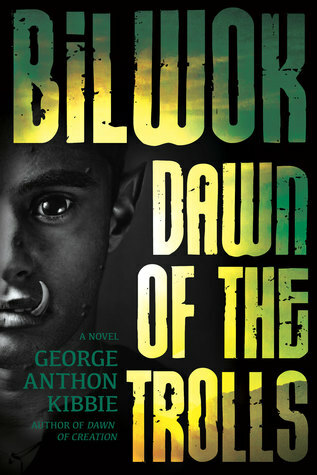 Discover the intriguing world of trolls in this fascinating fantasy that’s filled with twists and surprises! My thoughts: Bilwok is a young troll who is trying to figure out his place in his world (city of Tennevollen). The book is set in a futuristic time when men have destroyed their world and become more primeval. The trolls have survived in a hidden and secluded area. They have legends about the evils of men and how they must protect themselves from the outside world. At the beginning of the story Bilwok is rebellious. He just wants to have fun and avoid responsibility. He finds a National Geographic from February 2157. The pictures and stories paint a different picture than he has learned. He becomes determined to find out the truth and study the teachings of the toll culture. He is no longer a care free boy, but a model student and good son. He looses friends while he finds himself while learning of the past. I would consider this a coming of age story set in a fantasy and futuristic setting. Bilwok learns many lessons that help him become a better person (or troll). He learns about his potential and discovers himself in the process. He also has far greater potential than he ever imagined as he become someone the legends foretell. I enjoyed reading this book. It is a first with more to follow. I look forward to learning more about the Trolls and their future with mankind. War is on the horizon and I would like to see how Bilwok is able to bridge a gap between two cultures. Book Description: Stone Hammond is the best tracker in Texas. He never comes home empty-handed. So when a wealthy railroad investor hires him to find his abducted granddaughter, Stone eagerly accepts. My thoughts: There are many things that I liked about this book. The first is that the two main characters are principled and want to make the best choice and circumstance for Lily, the girl who is in Charlotte's care and is the subject that Stone is supposed to retrieve for her grandfather. They have a tenuous relationship at first. They have an obvious attraction to each other, but they are trying to do their job. Charlotte is honoring Lily's mother's dying request to take care of her and not let her Grandfather have custody. Stone is trying to figure out who has the legal custody of Lily and what would be best for the little girl. He is a bounty hunter with principles. I loves Lily's character. She is such a sweet little girl. She lives life to the fullest and has a great attitude. She idolizes Stone and his friends as being the good guys in her dime novels. Her enthusiasm for their exploits is funny. She is also very brave. She lets herself become a part of dangerous situations to bring down the bad guys. She wants the adventure. She knows that Stone and his friends will take care of her because that is what they do in the books she reads. She has faith in them. There are two other boys in Charlotte's care. They are not as prominent, but good kids that you can't help but like. The kids do a lot for the moving of the plot and comic relief. Stone and Charlotte have a dynamic relationship. They have the banter that I love in good romance stories. Stone is more confident in what he wants and is bound and determined to get it. In this case, he wants Charlotte. This book has adventure and sweet romance. It is clean with a little bit of violence and a little bit of kissing. 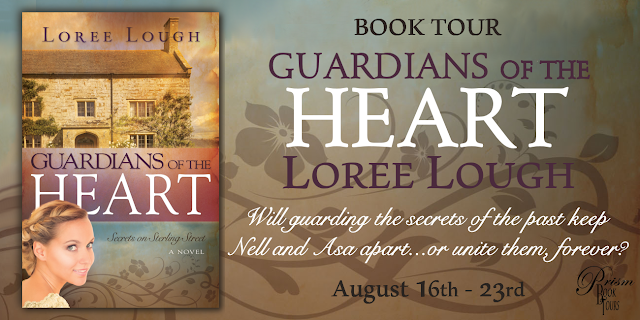 Nell and Asa have guarded their hearts, but to let love in, they'll have to let go. We hope you enjoyed finding out more about their story. And how do you develop your deep POV? I love living in the heads of my characters, and accomplish it (and avoid ‘head hopping’) by writing each scene from a specific character’s point of view. It’s almost as though I take up residence in their brains (like a parasite! LOL). When I’m thinking their thoughts, reacting to what other characters do and say, deep POV is a lot easier. "Loree Lough has written this story in an easy to read voice. The pacing is excellent. She kept my attention and I really came to like the characters." As any ‘on a deadline’ author can tell you, we’re really, really good at procrastinating. We tidy drawers, organize closets, poke around in our flower beds. And we cook. One of my favorite recipes was handed down by my Italian grandmother’s family. I hope you’ll enjoy it, too! "A sweet heartfelt romance that reminds us of the importance of forgiveness – of other people and especially of ourselves. 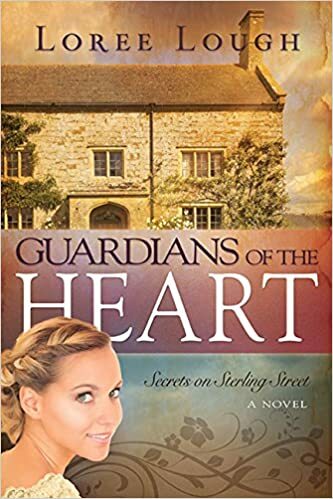 With true, likable characters and a plot brimming with all the great elements of a story, Guardians of the Heart will gently refresh your soul." When a mysterious package arrives shortly before Christmas, a wealthy author is forced to remember what’s truly important about the holy day…and about life. "This was a surprising out of bounds romance. It was clean, well-written, with strong characters that become a part of your reality." Regrettably, no one was hiring. Few things scared her more than the prospect of being homeless and destitute. Nell sat on the steps of the bank, held her head in her hands and tried to pray. She’d said countless prayers for others—in church, others on her knees before bed—but couldn’t remember the last time she’d prayed for herself. Did she remember how? "I loved Asa and Nell! Asa puts on a rough front but does care about others while trying not to. He feels guilt for some things he did in the past and needs to learn to forgive himself. Nell was sweet from the beginning! What I loved about this book is that the author didn't just tell me; she showed me." Oh, what he wouldn’t give to go back in time to the little house on the outskirts of Denver that always smelled of fresh-baked bread, where he’d never gone hungry and never felt cold, thanks to his ma’s talent for turning scraps of cloth into warm quilts. "I could not put this book down it was wonderful. . . . A nice relaxing read that brings out the love and coziness." "Homer, schweetheart," Bobby said, "so what's up with your answering machine? I've been trying to get hold of you for days." "Don't have one up here." Don't want one, don't need one. Me: You are such a prolific writer! (5,000,000 copies in circulation – 108 books, 72 short stories, and over 2500 articles in print) Where do you get your inspiration for so many new plots and characters? Loree: Inspiration is everywhere. Literally. I’ve come up with story ideas while reading a dog-eared old magazine in the doctor’s waiting room. At the grocery store. In the movie theater. Here at home, watching the TV news or reading the Sunday paper. Sitting on a bench at the soft ice cream parlor, listening to the conversation of patrons on the next bench. Talking to a neighbor over the back fence. While on hold to make corrections to a DirecTV statement. I could go on (and on! ), but I think you get the idea! "Throughout the novel Loree has brought her characters to life in a true and heartwarming way. I would recommend this novel to Christian, historical fiction, romance readers." They carried their bowls to a nearby bench and sat down to enjoy the treat, and Asa realized immediately that they were facing the wrong direction. Fifty yards due north, he had a direct line of sight to where Gus and Nell sat, munching fried chicken, corn bread, and apple slices. Oughta be you sitting there, he thought. Nell Holstrom wanted no part of her grandfather's barren gold mine that had taken the lives of her mother, father, and younger brother; even if there may still be hidden wealth inside. Instead, she went to Denver and took a job as housekeeper at the old Stone Hill Inn. Asa Stone was barely more than a boy when his father dragged him and his brothers to fight with Colonel John Chivington. But Asa refused to participate in the raid on the peaceful Cheyenne and Arapahoe; and when the smoke cleared, his father and brother lay among the slaughtered. Besieged by guilt, Asa wandered the West for years before returning to Denver to rebuild the old inn he'd inherited. Together, Nell and Asa work hard to restore Stone Hill. But when disaster hits the inn, Asa retreats into despair and Nell is forced to return to her family's mine. Asa faces the hard fact: He'll never be the man Nell deserves. Can he overcome the dark secrets of his past? And will Nell still love him when she learns the truth? Young widow Shaina Sterling hates living a lie. Desperate to keep bill collectors from the door, she secretly sells valuable possessions piece by piece, and hopes Denver’s elite never discover that his lavish lifestyle left her a near pauper. as carefully as he looks after her safety. 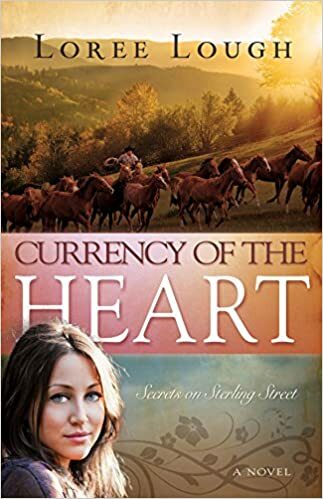 When fire devours Sterling Hall, leaving her homeless and penniless, he brings her to Remington Ranch to manage his household. His kindness makes Shaina beholden to him … and threatens to expose the secret that could destroy him. Will trials and tragedies bring Sloan and Shaina together? Or will secrets—and the cost of exposing them—drive them apart forever? Book Description: Finley isn’t exactly sure when her life began to feel unfamiliar. She suspects the transformation started long before she caught her husband and fellow garden club member doing the white-trash-two-step on her new Bernhardt sofa. Now free from the shackles of a loveless marriage, and with her children off to college, she’s finally able to go searching for the missing pieces of her heart. My thoughts: Finny is a conservative Southern Woman. She spends her time at her garden club and doing the things society thinks acceptable. Her social standing takes a nose dive after she divorces her cheating husband and lets loose on some closely guarded secrets. The book didn't feel like a romance but rather a coming into oneself book. Finny has lost track of who she is, her goals, and what she wants to be. Her best friend is wonderful at directing events to lead Finny into painful decisions. In fact, at times it seems more of a manipulation, but the motivation was love. At 40, Finny has a total of three love prospects. Each has their place in her life and are an important part of her growing process. I liked that every one of the men were flawed. They all had things that needed to be set straight in their lives. Finny saw the flaws and appreciated each one individually. Change is always hard, Finny's change didn't come overnight and it's amazing that the men were still around while she figured things out. The book has quite a bit of kissing, innuendo, and mild cussing. Get a Copy of "Daring Hearts" a boxed set! From gorgeous heroes that make us swoon to the super sleuths and feisty heroines that make us cheer, this exclusive collection has something for everyone. Nine clean, sassy and BRAND NEW novels--a delicious mixture of fun, addictively romantic, action-adventure stories -- each handpicked by an award-winning gathering of some of today's most popular YA/NA authors. 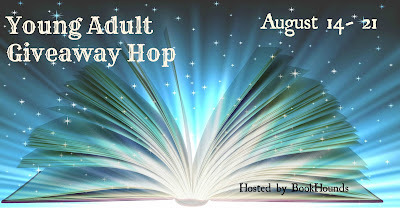 PLUS five bonus books from Elana Johnson, Leigh Talbert Moore, Rachel Morgan, Katrina Abbott, and C.L. Stone! Over 98% off retail for the individual books sold separately (a thirty dollar savings!) Hurry! Only available until September (so get your copy today). IF YOU BLINK TOO LONG, IT WILL BE GONE. GET YOUR COPY NOW. Book Description: After the death of her grandfather, the Duke of Salisbury, Grace Thatcher wants nothing more than to live quietly in the country with her younger siblings. Her father’s debts thwart those plans, and to protect her sister, Helen, Grace must marry a man of her father’s choosing. My thoughts: Saving Grace was a pleasant surprise. I wasn't expecting to like the characters as much as I did. Grace is an enterprising young woman. She is in a difficult position. She has a money grasping/drunk/gambler for a father. His financial problems become hers when he pushes her to marry to get him financial gain. She must protect her younger brother and sister from her father and secure them a quiet life in the country. I loved the way she found an escape from all of the men her father sent her wanted her to marry. She was on the "rounds" going from one suitor to another within days of each other. She used her intellect and quick whit to get her out of some tight situations. She is very daring. A proper woman of the regency era wouldn't put on breeches and join a hunt! 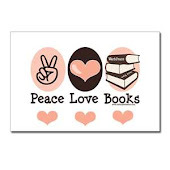 The romance in the book is gradual. Grace and Nicholas do not have a great beginning. In fact you could classify it as terrifying. It does give her another great idea to escape yet another suitor. She didn't expect that the suitor would be a gentleman that she liked spending time with. This book has many missed opportunities. It has characters who have many flaws. 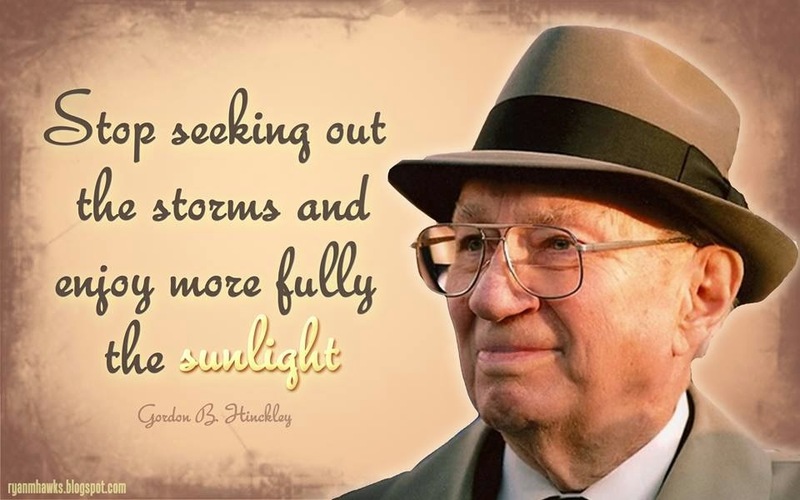 Grace has a presence that helps those around her see room for improvement. She is genuine. She doesn't change her personality to fit her surroundings, she shows the other characters that there is room for different ideas and traditions. 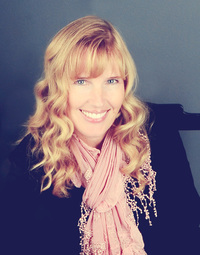 About the Author: (Taken from Goodreads) Michele Paige Holmes spent her childhood and youth in Arizona and northern California, often curled up with a good book instead of out enjoying the sunshine. She graduated from Brigham Young University with a degree in Elementary Education, and found it an excellent major in which to indulge her love of children’s literature. Her first novel, Counting Stars (Covenant Communications 2007), won the 2007 Whitney Award for best romance. 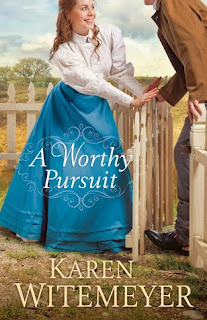 Her companion novel, a romantic suspense titled, All the Stars in Heaven (Covenant 2009), was a Whitney finalist, as was her first historical romance, Captive Heart (Covenant 2011). My Lucky Stars (Covenant 2012) completed the Stars series. After having a novella published in A Timeless Romance Anthology European Collection (Mirror Press, 2013), Michele decided to focus on historical romance and began Hearthfire Historicals, with the debut novel Saving Grace. 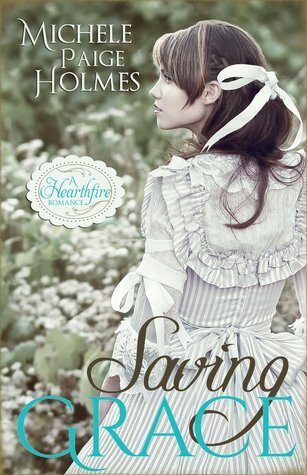 A companion novella, Loving Helen will be released February 2015. 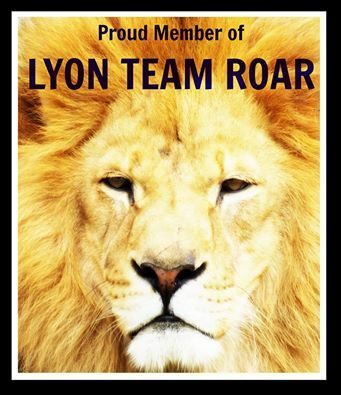 Michele has been a member of the same critique group for over fourteen years and feels privileged to meet with fellow authors Annette Lyon, Heather B. Moore, LuAnn Staheli, Sarah M. Eden, J. Scott Savage, and Robison Wells. She has been a member of RWA and URWA, LDStorymakers, and The League of Utah Writers. Michele enjoys both attending and teaching at conferences. When not reading or writing romance, Michele is busy with her full time job as a wife and mother. She and her husband live in Utah with their five high maintenance children and a Shitzu that resembles a teddy bear, in a house with a wonderful view of the mountains. You can find Michele on the web at michelepaigeholmes.com and on Facebook and twitter . Blog Tour Spotlight ~ "Jack Teplar and the Lord of the Demons" by Jeff Gunhus + giveaway! Jack Templar and the Lord of the Demons (The Templar Chronicles #5) by Jeff Gunhus With two of the Jerusalem Stones in hand, Jack and his friends must race the clock to find the remaining Stones as Ren Lucre's Creach forces gather strength. With two of their group now with Creach blood flowing in their veins, the team will be tested as never before. They must unite together if they have any hope of surviving their journey to the Underworld and their battle with the vicious Lord of the Demons. The fate of the entire world hangs in the balance. Just then, Eva stepped out from the brush directly into the forest path, straddling it with her feet set wide apart like a gunslinger in an old Western. For the life of me, I don’t know how she got that close without me seeing her, but she did. Even as a vampire, Eva retained her English accent. Usually that took the edge off what she said, but she managed to deliver the challenge to Daniel with so much condescension and mockery that I thought he might charge at her. Daniel spun around, lips curled back, every tooth showing. What I thought was a snarl before was no more than a tiny growl compared to the vicious sound that now came from his mouth. The skin on my arms and across the back of my neck turned to gooseflesh. I was, after all, a monster hunter. That snarl activated every instinct I had to pull my sword and fight. But I held steady, knowing that if they attacked each other, it was going to be up to me to pull them apart. The words were barely out of her mouth before Daniel launched himself toward her. She crouched low where she was, her face twisting into a terrible mask of hate, her fangs extending out of her mouth past her lower lip, her hands held in front of her like claws. Daniel took three enormous steps, landing the third immediately beneath the rabbit still desperately kicking to free itself. The second Daniel’s paws touched the ground, the forest floor gave way and he fell out of sight. The cloth covering the hole we’d dug fell into the trap with him, dragging a layer of dirt and leaves in with it. Book Description: Nell Holstrom wanted no part of her grandfather's barren gold mine that had taken the lives of her mother, father, and younger brother; even if there may still be hidden wealth inside. Instead, she went to Denver and took a job as housekeeper at the old Stone Hill Inn. My thoughts: Nell is a wonderful character. Life has thrown her some hard curves, somehow she manages to pull herself together and make the best of every situation. Her determination and loving heart not only brighten her life, but the lives of everyone around her. I haven't read the first book and didn't feel lost in the story at all. In fact, I didn't realize this was a second book until I started this post. You can read this book as a stand alone. The stories are separate, but set in the same place. She’s unaware that as her husband lay dying, successful rancher Sloan Remington made him a promise. And Sloan guards her secrets as carefully as he looks after her safety. 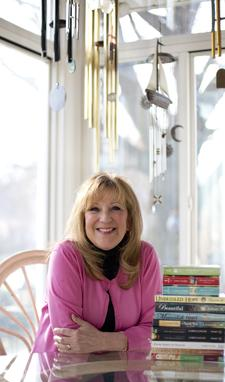 With a long list of industry awards, it isn't likely this prolific author will ever retire...not even to her cozy li'l cabin in the Allegheny Mountains. She loves to hear from her readers and personally answers every letter sent tohttp://www.loreelough.com/. 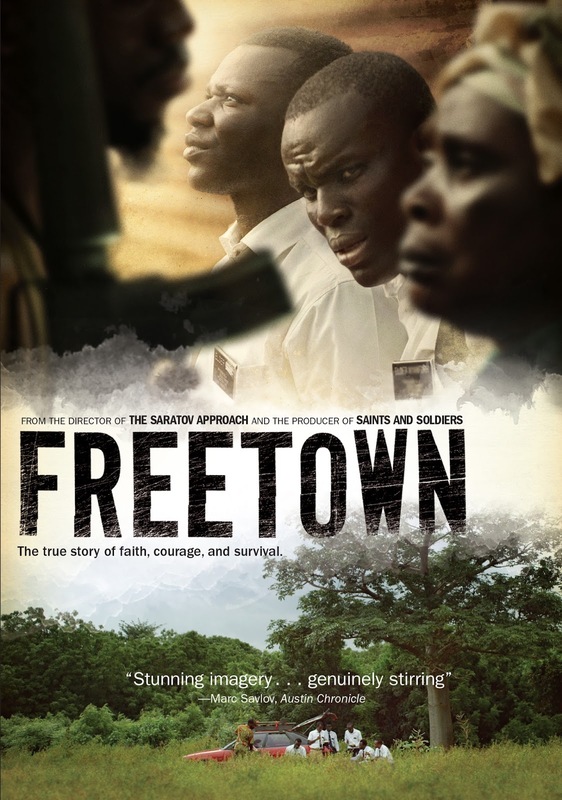 LDS Movie Review ~ Freetown + giveaway! My thoughts: I loved the inspirational message of this movie. The people who lived the events behind this movie faced ordeals that tested them physically, mentally, and spiritually. I don't think you can watch this movie without it touching you. The scenes were set beautifully. I loved the imagery. The only thing that I found difficult was following the heavy accents. I turned on the captioning to follow the story better. That worked for me. The movie deals with a civil war, there is violence. It is not graphic, but the nature of it is disturbing. I think that was one of the points of the movie. The giveaway is for entrants with a US address. See terms and conditions to the right. There will be two copies given away by Deseret Book. I will forward winners information to them and they are responsible for sending out the DVD. Two copies will be given away, that means two winners. 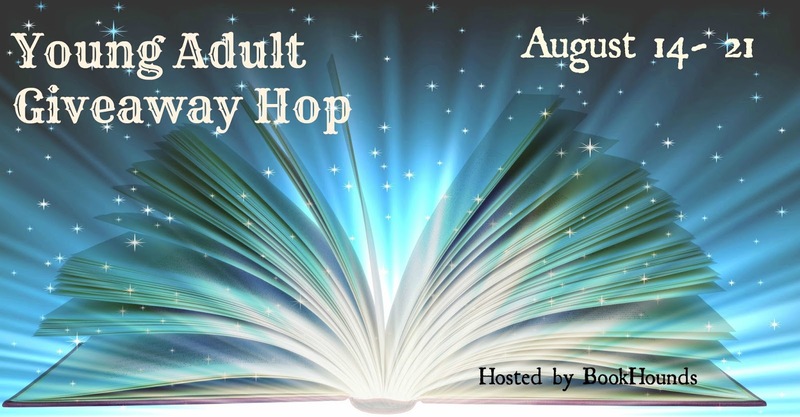 Thanks Mary from BookHounds for getting this hop together. Today I am going to offer one of the Young Adult Books that I really enjoyed reading. Book Description: For five centuries, a witch’s curse has bound the trolls to their city beneath the mountain. When Cécile de Troyes is kidnapped and taken beneath the mountain, she realises that the trolls are relying on her to break the curse. There will be one winner who will win one book. This book has a sequel. 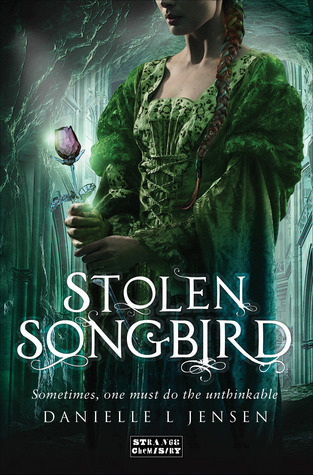 If you have read and loved "Stolen Songbird" and haven't had the chance to read "Hidden Huntress" you may pick that book instead. The book will be shipped from the Book Depository. Enter using the rafflecopter form below. Terms and conditions are listed to the right and in the bottom of the form. Book Description: It was a robbery gone bad, or so they said. For Detective Trey Shotwell, the murder of his mother, a prominent artist, was the catalyst for setting aside his own artistic aspirations to pursue a career in law enforcement—despite the opposition of his father, also a famous painter. When he agrees to attend an art auction featuring his father's work, the cruise ship locale provides the relaxation that Trey needs—and when he meets stunning fellow passenger Ariah Stanton, the undeniable chemistry they share is an unexpected bonus. My thoughts: As a teen Trey Shotwell vowed that he would find his mother's murderer. Ten years have passed and while on a cruise with his father, a break in the case has finally been found. Murder and mayhem abound on the ship leaving a huge pool of suspects. I really liked Trey's character. He is an honest and genuine man who makes a living as a police officer. His parents were/are famous painters and he chose his own path instead of the family legacy. He is smart and observant. He has good instincts when it comes to people and he does well when he follows them. I liked the romance in the book. It is sweet and cute. There are actually two romances occurring at the same time and I liked both of them. There are murders that happen in the course of the book, but they were not graphic, and just described the basics. The plot was well thought out and presented in a believable manner. The writing style was more of a narrative, it's not my favorite style. I felt as if I was being told the events rather than having them described to me. This didn't distract me too much from the plot and characters. I just didn't get to know them as well as I would have liked. Overall, this was a good book to read. It is clean with a little bit of violence. It does contain religious elements. Trey's religion (LDS) is referred to frequently as a fundamental part of his character. 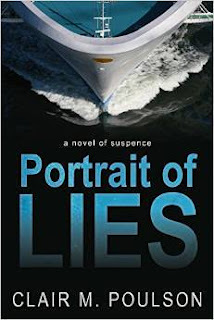 The book was not preachy and can be enjoyed by anyone who enjoys a good suspense/mystery book. 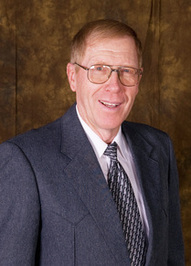 About the Author: Clair M. Poulson was born and raised in Duchesne, Utah. His father was a rancher and farmer, his mother a librarian. Clair has always been an avid reader, having found his love for books as a very young boy.